short girl, long island. : Giveaway, Day Two: Grrfeisty. CLOSED. I hope you all enjoyed your weekend + are gearing up for Monday! The second item for Giveaway a Day December is from Roxy, the talented lady who blogs over at grrfeisty + runs an Etsy shop of the same name. She will also be featured on the blog this month for Teach Me Something Thursday, which I am stoked about. The item up for grabs today is a Professor Fancy Fox Pin. To enter, just check out the Rafflecopter below. Only one entry is mandatory + the rest are optional. If you didn't get to enter the Weekdāzed giveaway yet, make sure to check that out as well. Good luck! 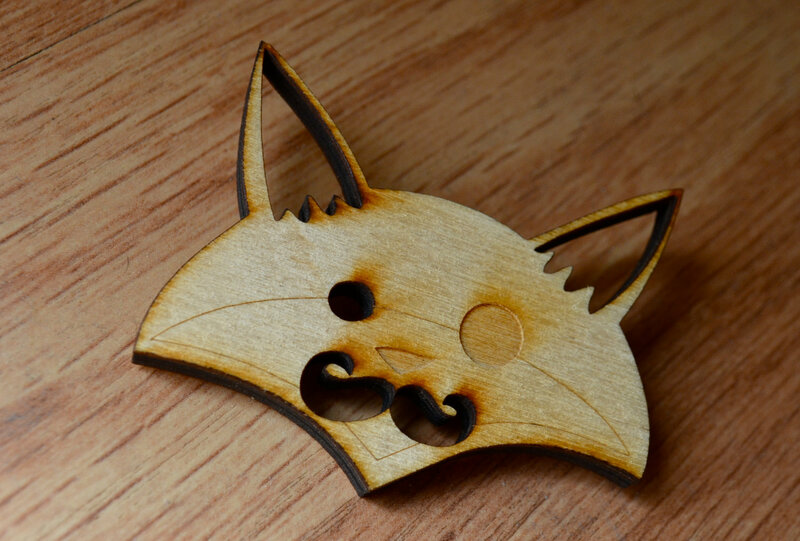 the fox necklace is absolutely adorable! i might actually get it for my cousin, she loves foxes. My favorite item is definately Professor Fancy Fox Gold Mirror Back Acrylic Necklace! Of course it is my favourite! such a lovely and cute pin xox. I love the polka dots pocket mirror. Def the fox gold mirror necklace! <3 Super cute! Love the made of logs mirror!